Old Hen Kitchen has the best breakfast and brunch menu in Farrer Park. Their avocado on toast is award winning and the coffee is made with care and precision. You also gotta try the Singapore Chilli Crab Fries for the novelty factor. 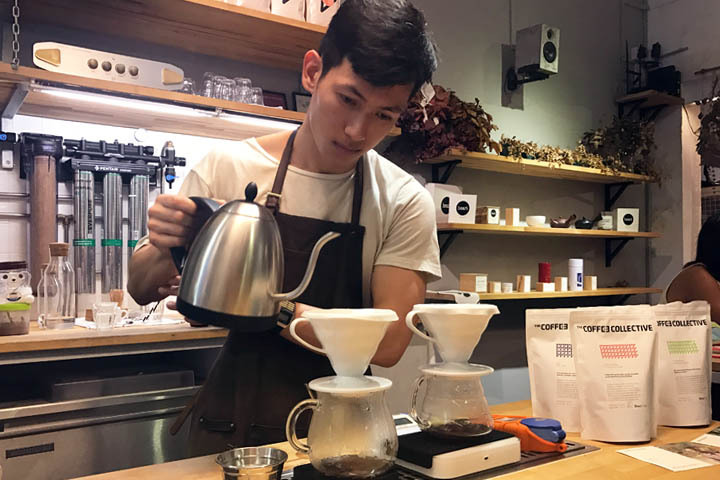 Old Hen Coffee opened three and a half years ago on 88 Rangoon road near Farrer Park, specialising in home-made bottled cold brew, espresso coffee and dessert. 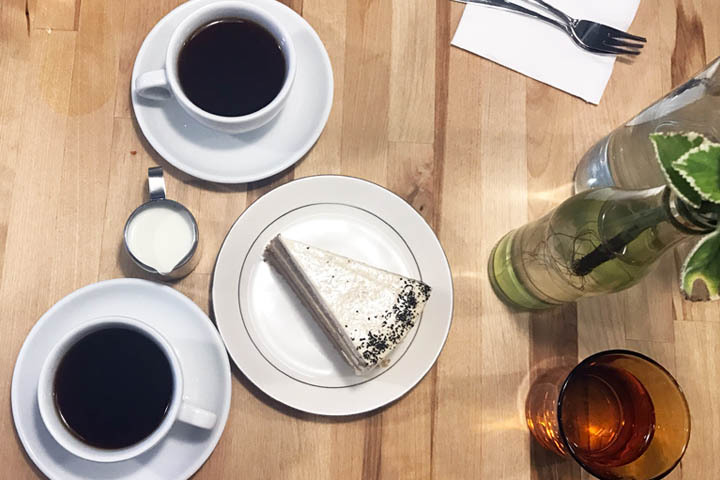 They then opened Old Hen Kitchen around the corner from here about a year ago, which serves breakfast and brunch menu items as well as their famously good coffee. What I love about Old Hen Kitchen is the premises. The place is bright and airy, and the delicate vases holding fresh flowers on each table are such a beautiful touch. They also have an open kitchen that is not even partially obstructed, so you can literally get up close and personal to the chefs as they work on their beautiful creations. 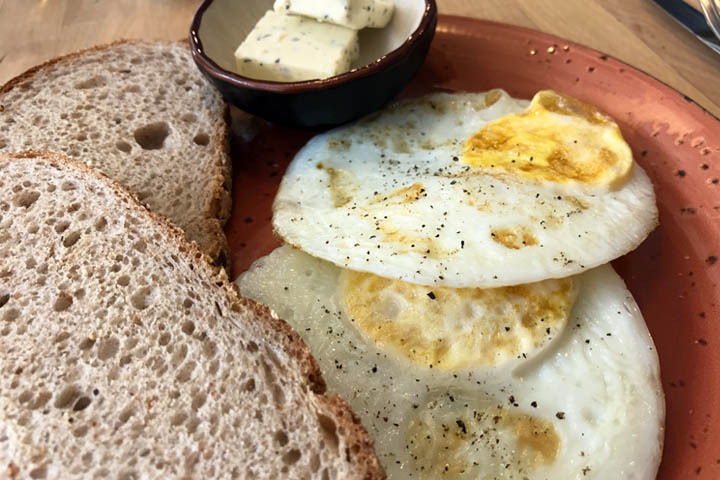 The chefs at Old Hen Kitchen take so much care and consideration in preparing each dish, right down to the placement of a single fry and garnish. Each meal looks fantastically put together and consistently looks identical each time you order it. You can taste the difference when food is made with care, which is why I keep coming back to Old Hen Kitchen. Although, on the downside it does mean meals can be a little slow to arrive after ordering. There are only two things I order at Old Hen Kitchen. If I feel like something simple, I go for fried eggs on toast. They know I don’t like runny egg yolk and so the chef is careful to fry my eggs over easy. Quality, free-range eggs are used and salt and pepper is added whilst in the frying pan. The meal is served with a generous chunk of butter for the toast. It is a small but important touch, which most places neglect (I hate having to ask for more butter). If I am feeling hungry, then I will order the avocado on toast for breakfast. It is the best item on the menu without a doubt. Perfectly ripe avocado is pureed and spread on toasted sourdough, which is then topped with additional sliced avocado and garnished with pumpkin seeds, dukkah and chilli oil. It comes with a hard boiled egg, although they always fry the egg for me because I do not like boiled eggs. What else can I say about this dish? Yum, yum, yum. Avocado overload! I don’t know where they get their avocados from, but they always taste amazing. Moving on to the coffee, their espresso coffee is very good. They use beans from Kenya and the taste is smooth yet mild. This is just the way I like it although those who like a more bitter coffee hit will be disappointed. 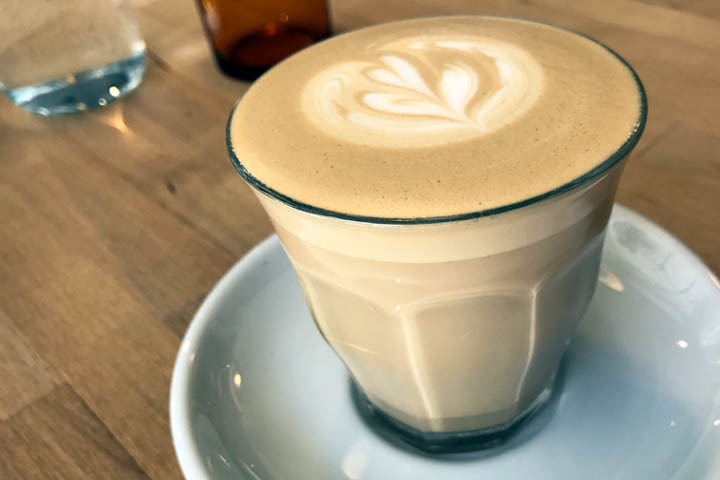 The baristas at Old Hen sure know how to use a coffee machine, and milk is always frothed to a creamy, silky consistency. Check out the coffee art on the latte and mocha drinks I ordered! Is that a perfect latte? Hand drip filter coffee is becoming very fashionable in Singapore and Old Hen are also on this bandwagon. If you order a hand drip coffee it will take at least 15-20 minutes to prepare. You need to refer to their daily blackboard specials for filter coffee. 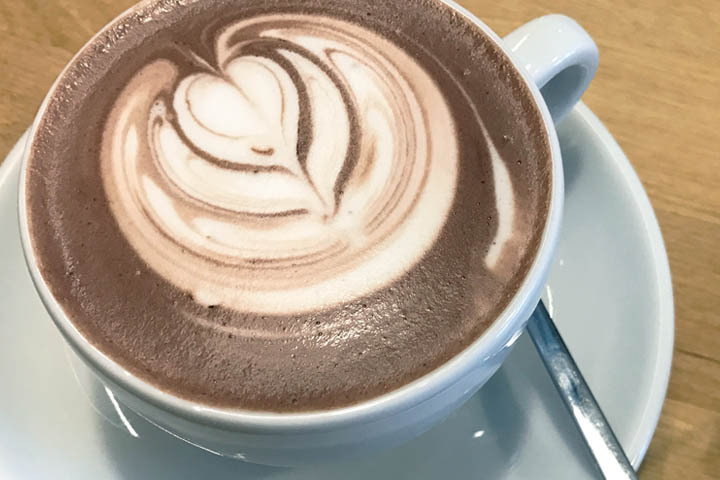 I have tried two varieties at Old Hen, the Akmel Nuri from Ethiopia, which has a plum, raising and chocolate flavour palette and the Finca Vista Hermosa from Guatemala, which has a pecan nut and chocolate aftertaste. Whilst the coffee was clean tasting and light, a typical feature of hand drip, I was disappointed both times as the coffee lacked enough flavour. It was too watery. Even when milk was added, it also seemed to have a slightly acrid aftertaste that was unpleasant. The hand drip coffee at Hoshino Coffee in Plaza Singapura is superior. For something sweet, Old Hen sometimes have earl grey and lemon cake on the special board. The dessert is made with moist sponge, a zesty layer of lemon curd, and covered in thick, creamy and mild earl grey flavoured icing. I won’t say it is my favourite cake of all time, but it goes down very easily with a good cup of coffee. 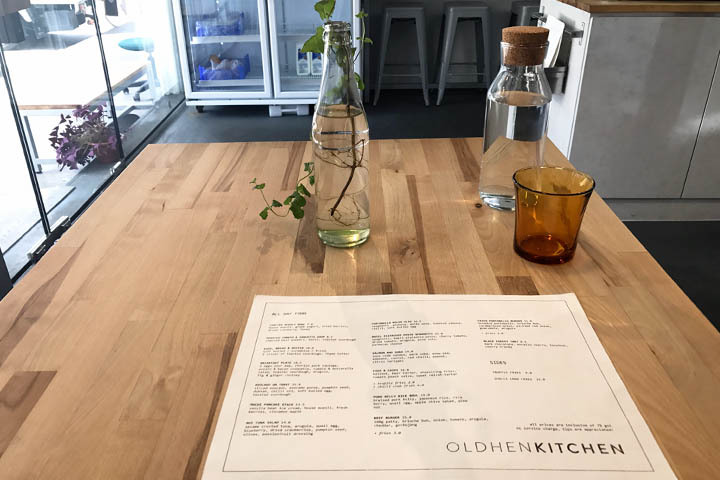 I have also ventured to try some of the lunch options on the menu at Old Hen Kitchen. 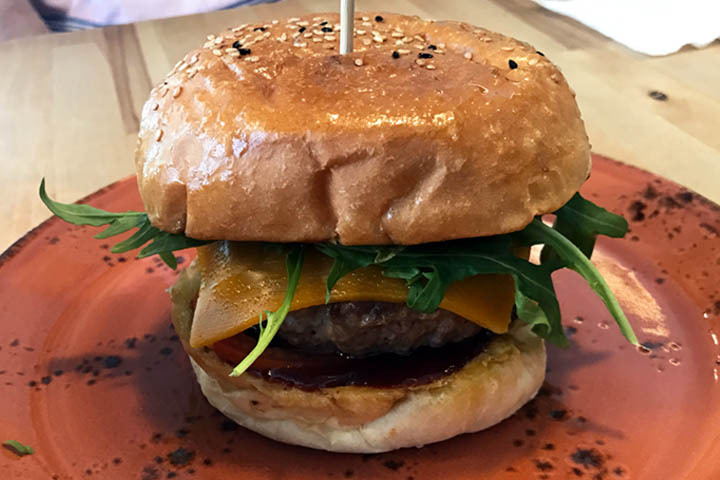 Their beef burger is a filling dish consisting of a 160g ground beef patty served with rocket, tomato and cheddar cheese on a brioche bun. Unusually, the beef is over seasoned and overcooked so the result is a very peppery patty that is simply not juicy enough to be called a true burger. The accompanying gochujang sauce gives it some nice kick, but doesn’t redeem the meal as a whole. 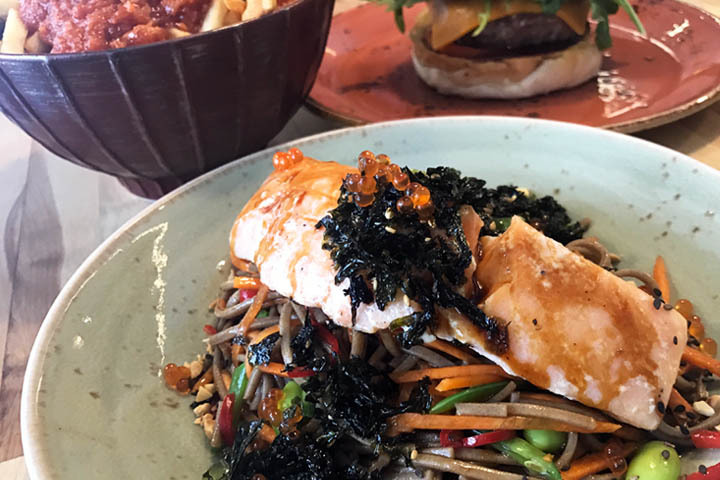 The salmon and soba is a healthier menu option I have also tried but it is not very tasty. Whilst the salmon fillet was top quality and cooked to a perfect and succulent medium rare temperature, the noodles were underwhelming. They were the brown variety of soba and came mixed with edamame, snow peas, chilli, carrot, peanut and citrus teriyaki. Somehow with that combination they tasted dull with a sweet aftertaste. I had a few bites but decided to just eat the salmon and leave the noodles. Old Hen Kitchen also serve chilli crab fries as a side dish, which are pretty damn special. However they would be so much better if thick-cut chips were used instead of fries and there was added salt. Salt and pepper shakers are absent from the tables. 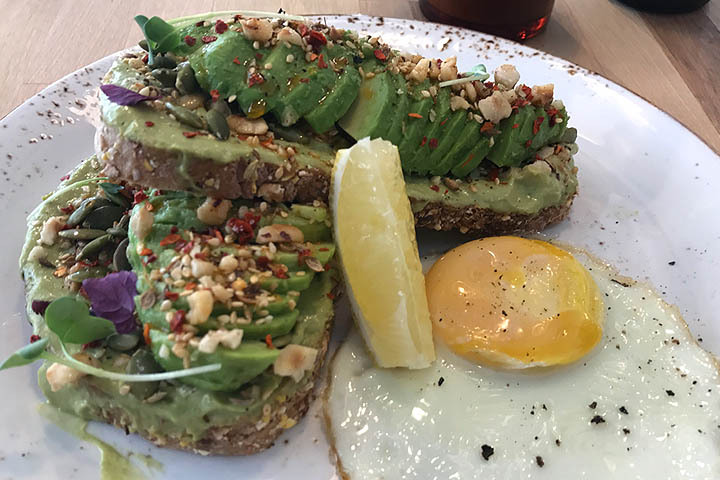 Old Hen Kitchen at Farrer Park excels at its eggs and avocado on toast and its espresso coffee. For that reason, I frequent here time after time and shall continue to do so. However the rest of the menu needs improvement. The place is still fairly new and the people who work here care about what they do, so I firmly believe Old Hen Kitchen will only improve with time. 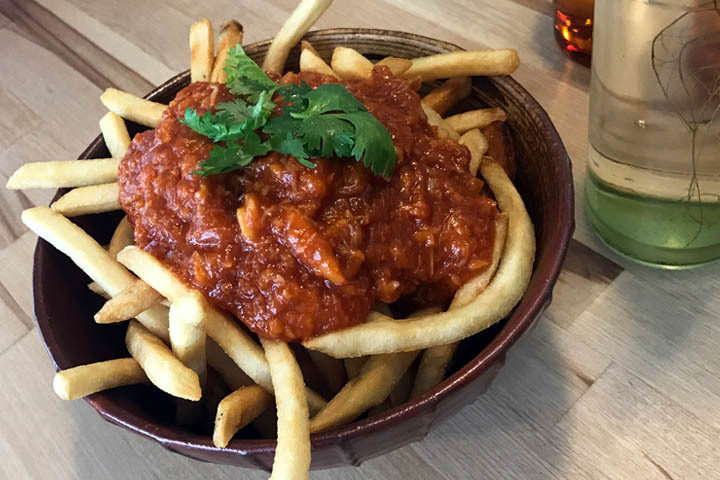 Gah, the chili crab fries is what really caught my attention! Just looking at the picture I’d love to get a huge amount and devour it! I love how you just enjoy trying new places and spots, we’d probably make good food buddies because I’m definitely up for anything.